Specially developed for firefighters who combat structural fires, our line of structural firefighting boots from HAIX® can protect you when you are in the midst of battle with a dangerous conflagration. 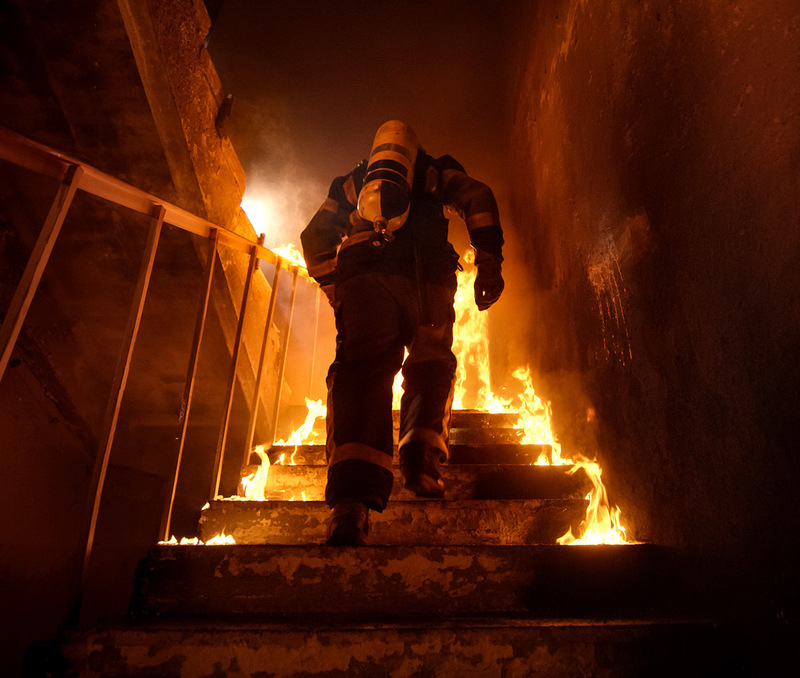 Whether you are charging up a flight of stairs inside a burning building or carrying a victim out of a dangerous situation to safety, you need boots that will provide you with the comfort and support necessary to make your job easier. Fire Flash® Xtreme, Fire Hunter® USA, Fire Hero® Xtreme, Fire Hero® Xtreme Womens, Fire Hunter® Xtreme, Fire Flash® Xtreme Womens, Fire Hunter® USA Womens, Fire Hunter® Xtreme Womens, Fire Eagle® Air, and Fire Eagle® Air Womens. Fire Eagle® Air sets the standard for the modern day firefighter. Built to be lighter in weight, it offers you more comfort and flexibility on the job. With an athletic fit and feel, Fire Eagle® Air offers the highest degree of protection on the frontlines of a fire scene. The CROSSTECH® inner liner keeps your feet dry and comfortable while also protecting you from dangerous chemicals and bloodborne pathogens. The newly developed 2 component tread offers stability and superior traction which in turn leads to more flexibility and quicker reaction times when fighting fires. If you are looking for a boot to provide you with essential comfort, check out the Fire Hunter® Xtreme. As an NFPA certified boot it has a steel toe, steel mid sole, and thick, durable leather that works in conjunction to ensure you have the necessary comfort and protection. As well, the boot includes a CROSSTECH® inner lining that gives it resistance to blood-borne pathogens and chemicals while keeping your feet dry and comfortable. These structural firefighting boots will fit you like a glove due to a flexible insert located in the shaft. In addition, the unique Secura Liner keeps the boot liner from pulling out or wrinkling. If you are looking for high-grade boots with support and protection, we offer the Fire Hero® Xtreme with an outsole providing some of the highest levels of high slip resistance. PU foam has been placed into the soles of these boots to ensure your feet are insulated against the cold and the extreme heat. It also serves as a shock absorber to help withstand the impacts you experience on the job. This leather boot also includes a CROSSTECH® lining, giving you solid protection against water infiltration and resistance against chemicals and blood-borne pathogens. For an excellent switch from rubber to leather, consider the Fire Hunter® USA, an NFPA certified CROSSTECH® lined boot that is ideal if you are on a tight budget. It carries all the features you need to perform your work, including a stainless steel puncture protective sole that shields you from sharp objects as you go about your work. In addition it has an anatomically shaped steel toe cap that keeps your toes from getting crushed by falling objects provide sufficient breathing room as well. Review our selection of structural firefighting boots today. Shop on our website or give us a call at (866) 344-4249 for more information.